Canal banks usually have water levels that are constant throughout the year and little or no flow. The main cause of erosion is wave action from passing boats. 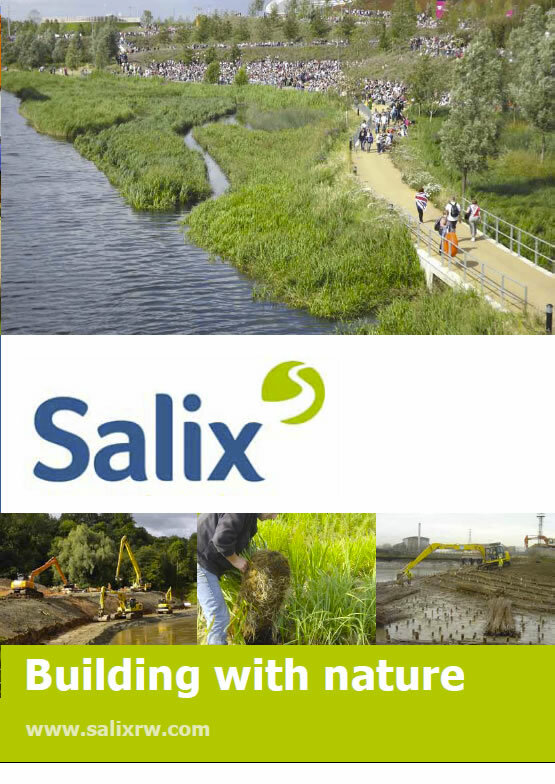 Salix have completed sensitive civil engineering works such as dredging and towpath restoration, using soft revetment techniques in place of sheet piling where applicable. Many of these schemes are driven by the need to provide restored habitat for protected species, such as water voles, whilst addressing long term stability. Salix can also install sheet piling up to a depth of 6m working from floating pontoons. 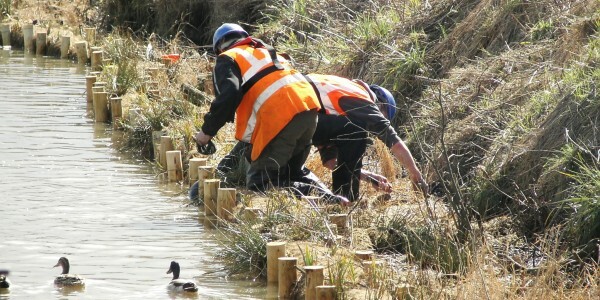 Other works for British Waterways include the supply of native wetland plants for large scale habitat creation. Many lowland rivers can be stabilised and ecologically enhanced by introducing diverse marginal and emergent vegetation. Using bioengineering methods such as pre-established coir rolls, which provide instant stabilisation and vegetation establishment, habitats are created for fish, water voles, nesting birds & invertebrates. 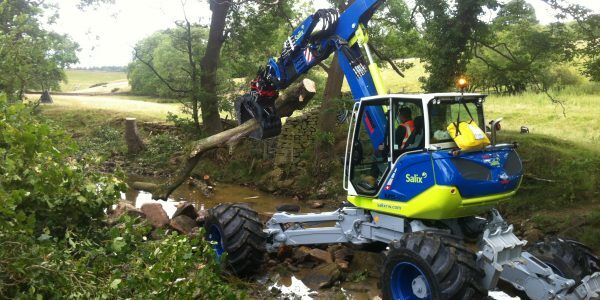 Bio-engineering techniques are often used within river restoration projects, sometimes driven by the Water Framework Directive requirement to enhance habitat quality.